Proceeds of this fundraiser go towards Ralph's favorite organizations and charities, annual scholarships for high school Seniors and educational programs to help those affected by alcohol and drug addiction. 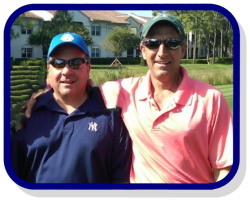 Bobby Miele was a good friend of Ralph's and a generous supporter of The RPJMF Foundation and the DMP Education Fund. Donations are being accepted into a special restricted fund with proceeds going directly to the Miele Family.